Now in its 39th season, the Annex Singers is a 65-voice auditioned ensemble performs an eclectic range of both major and lesser-known works from the classical Western choral repertoire. The choir also demonstrates its ongoing commitment to contemporary music with numerous premieres of Canadian works. For the past ten years, the choir has flourished under the able direction of Artistic Director Maria Case, who brings dynamic leadership and inventive programming to the choir, including some of her own compositions. We are accompanied by the talented pianist Anne Lee and enjoy collaborations with a wide array of guest artists and ensembles. We perform in concert in December, February and April, and, on alternate years, present a cabaret evening in late May or early June. The February performance features The Annex Chamber Choir, a 24-voice ensemble formed in 2011. We frequently collaborate in Opera by Request productions, and take other opportunities to sing in the community as a community service. M aria Case is a dynamic and highly regarded artist and educator in Toronto’s music community. She is an accomplished pianist and vocal recitalist, choral conductor, and composer. 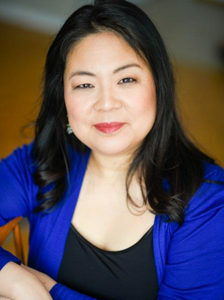 She maintains a busy private studio and is active as an examiner, adjudicator and lecturer on piano, theory and musicianship pedagogy at the Royal Conservatory of Music, where she served as Chief Examiner of Theoretical Subjects from 2006 to 2013. Maria has been the Artistic Director of The Annex Singers since 2005, leading this group with dynamic and imaginative programming. She is also the Music Director of Glebe Road United Church in Toronto. The majority of Maria’s compositions celebrate the voice, and are inspired by texts from a wide range of texts and traditions. Her most recent choral works are In Winter, O Living Flame, The World’s Desire, and the song cycles Empty Wake, Nightsongs, Into Flight, and Gallery. Her vocal works are published by Plangere. Maria holds ARCT Performance Diplomas in Piano and Voice as well as a Bachelor of Music in Composition from the University of Toronto. Other studies include graduate studies in English literature, choral and orchestral conducting, and jazz at the Berklee College of Music. Anne Lee began her piano studies at a young age in Vancouver after an exhaustive search for a teacher willing to take on a pint-sized aspiring pianist with too-small hands. Path found, her musical roots flourished throughout her school years, as she explored a diverse portfolio of instruments, including clarinet, bassoon, and saxophone. She eventually transplanted herself to southern Ontario, where she studied English Literature and Music Performance at Queen’s University. Meanwhile, she (and her still-pint-sized hands) continued being an active accompanist, chorister and instrumentalist; participating in various musical ensembles along with her academic studies. She has studied with notable music educators such as Edward Parker, Gordon Craig, and Dr. Christopher Foley. Currently based in Toronto, Anne is valued for her sensitive artistry and profound understanding of choral collaboration. Her intuitive and supportive musicality has been an asset throughout her accompanying and creative collaborations with students, soloists, and various organizations and ensembles. 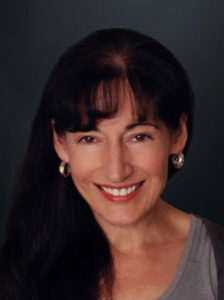 Anne has been an accompanist with the Annex Singers since September 2011.